The NX Nastran solver that comes as NX Nastran Upgrade for Femap or Femap with NX Nastran is desktop licensed. This means that the Nastran input file for solution must be written out by Femap and cannot be edited by the user from the OS. 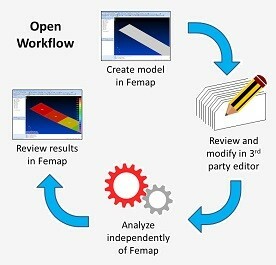 In addition, the solution must be performed from the same computer that the Femap license was used to write the input file. The Desktop Extension product is an add-on capability to desktop licenses that removes the above listed limitations. The Node Locked version of the Desktop Extension still has the limitation that it must be run on the same computer as Femap. Users are however able to edit the input files from the OS. Below is an overview of what the Desktop Extension (Unlocked) add-on module will do. It unlocks the Nastran Solver from the FEMAP/NX Nastran Bundled package you currently have. This allows you to work from a command line or right within the Nastran Deck. With the Femap with NX Nastran Desktop Extension module you can upgrade your NX Nastran license to remove the checksum control that is inherent with the Desktop NX Nastran license. Removal of this limitation allows you to manually edit the NX Nastran input files and run the analysis independently of Femap. This new open workflow provides greater flexibility at an affordable price. 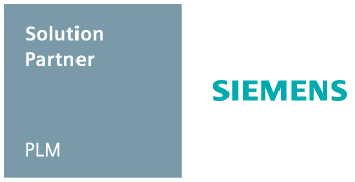 Fill out the form to receive a quote for the Femap with NX Nastran Desktop Extension.